Warby Parkers. I don't have any, but I definitely want some. And from their new Fall '14 collection, I want the Coley. The Coley comes in tortoiseshell, which I love, but I am particularly liking the clear frames. They look a little Parisian in that they are so dang cool without looking like they are trying too hard. And they will just make you seem smarter. Like my next-door neighbor whose kid only speaks French, and he's 3. I mean, smarter for sure. And think about it, they would go with any outfit too! I swear pregnancy made my eyes worse. Maybe I'm just getting older, but I'm sure that's not it. It was definitely pregnancy. So maybe these are my new glasses for the Fall to go with my new prescription. Go check out WP's whole new line here, and at Imogene + Willie here in Nashville. 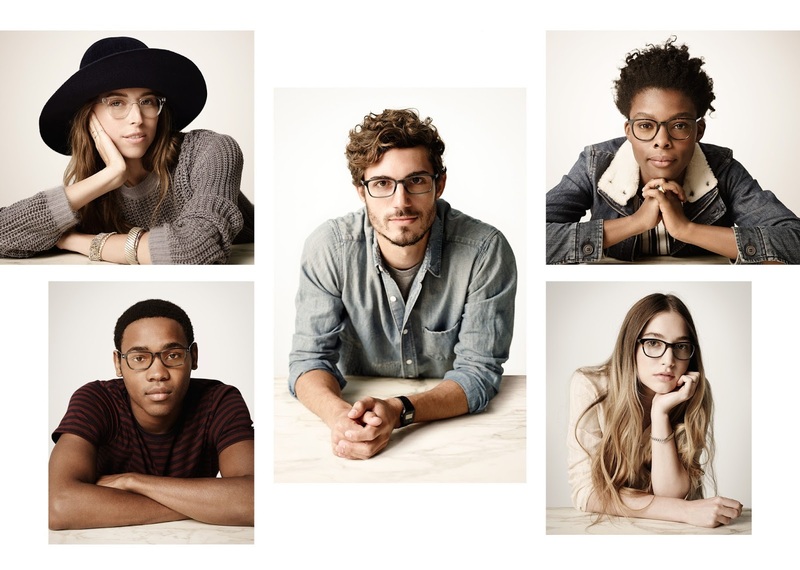 ANNNDD, remember that for every pair you buy, Warby Parker gives a pair to someone in need. Love that. 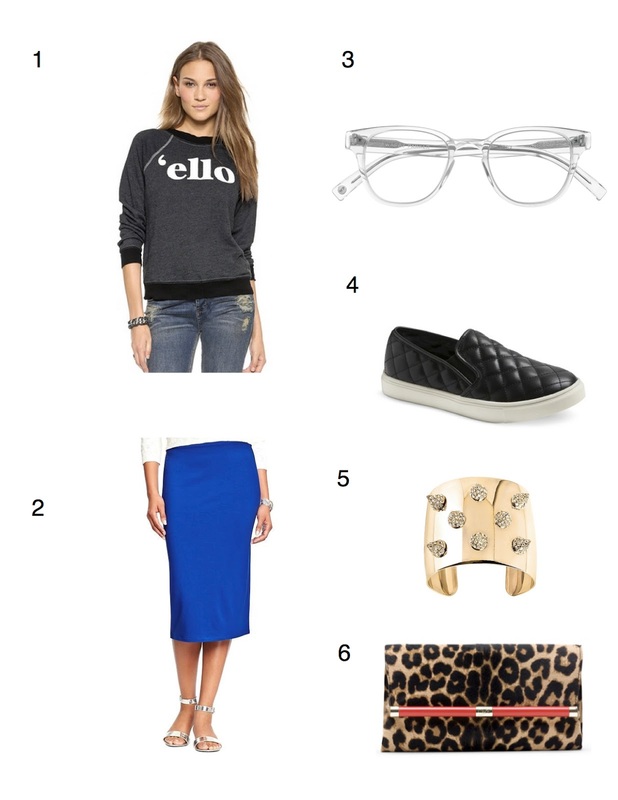 I went ahead and put my dream outfit together below with my new fave frames. Cool without trying too hard--a sweatshirt paired with sneakers and a pencil skirt. A great weekend going-to-brunch outfit for the Fall. More images from the Fall collection! I love the glasses. I used to get so many compliments on my acrylic frames! I was thinking about breaking them out again and getting new lenses for them. Yes, pregnancy changed my eyes twice so I have glasses in 3-4 different strengths! ha!